Anchor Center for Blind Children hosted its 22nd Annual Foresight Golf Classic at Sanctuary on Thursday, May 31st. One hundred golfers enjoyed one of the most exclusive “bucket list” golf courses while raising $135,000 to support young children with visual impairments and their families! Anchor Center is honored to be one of only two charities that has been invited back to Sanctuary for 22 years. 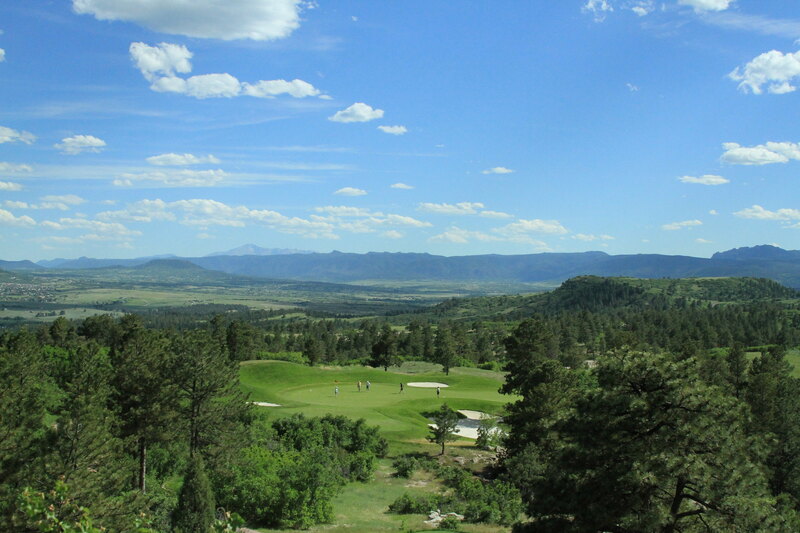 A private course created by RE/MAX founders Dave and Gail Liniger, Sanctuary is devoted primarily to charity golf tournaments. We are exceptionally proud to be among those that have helped Sanctuary raise more than $100 million for charities since opening in 1997. Many of this year’s ForeSight players have participated in the tournament for more than 10 years; some were among the original golfers when the tournament first began. One player, Brad Basta, a blind golfer who has participated in the tournament for five years, was able to meet with and inspire this year’s speakers – Chic Naumer and his daughter Claire, a 2013 Anchor Center graduate and avid athlete. CBS4 was on hand to capture their meeting and talk with all three of them about the tournament….CLICK HERE TO WATCH! Take a look at a handful of photos from the tournament and see some of the players who helped make a difference in the lives of the beautiful children and families Anchor Center serves. Thank you to all who helped make the day a success – especially our players and incredible sponsors: Sanctuary, RE/MAX, Logos Imaging, CIBC Atlantic Trust, Colorado Retina Associates, EKS&H, Financial Designs, Ltd., Fortis Law Partners, Four Seasons Hotel Denver, Hanging H Ranch, MGA Home Healthcare, Pie Consulting & Engineering, Robert Shaw, Towne Park, Lewis Bess Williams & Weese, Northern Trust, and Southern Foodservice.